My favorite thing to do is figure out how to make a quilt. I love taking a design and trying to figure out how to make it work with a cut of fabric…sort of a quilt puzzle. That part is even better than the actual sewing! 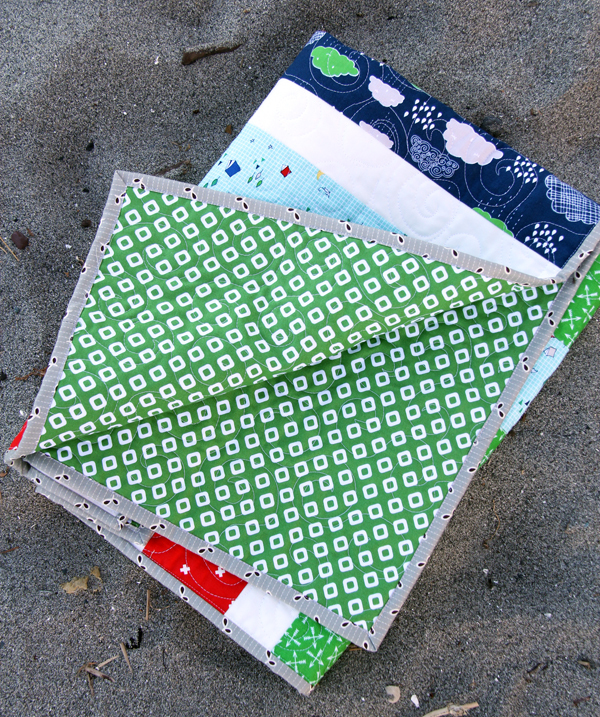 It uses 4 fat quarters and a background fabric to make a baby size quilt. Three of the prints are a Riley Blake collection called Greatest Adventure, and the red is a Cotton and Steel basic. The back is a green tile print from Dixie, and I quilted this on my own machine. 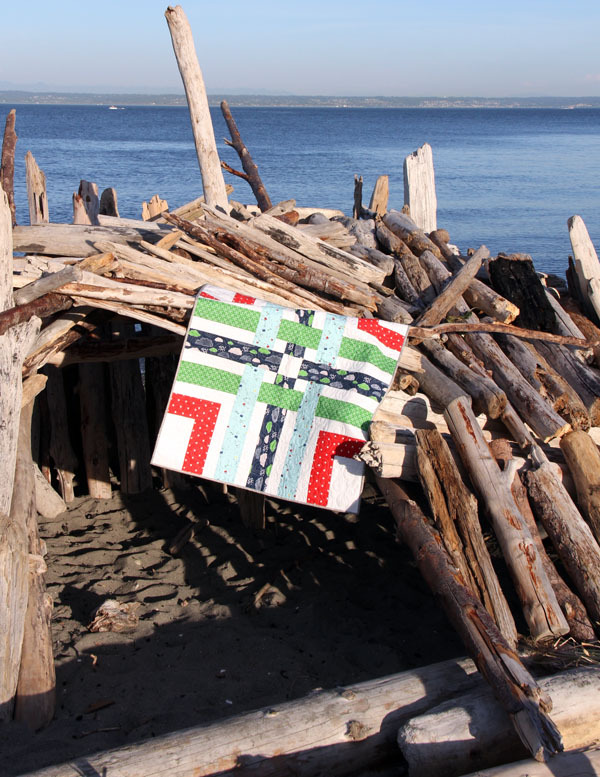 This beach has the greatest driftwood forts. I’m a mean Mom and never let my kids go in these big ones for long…all that loose wood scares me and I can imagine it falling on them! I’m such a worry wart but still…yikes! 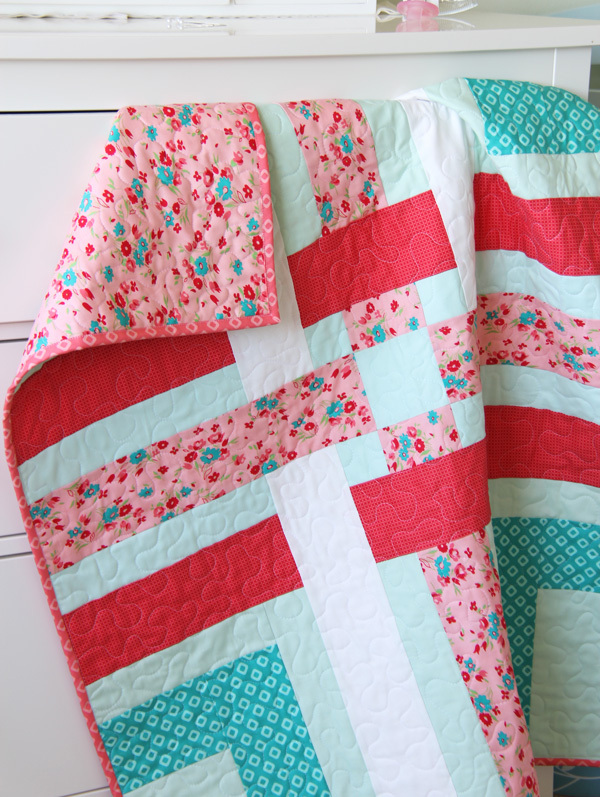 I made this quilt in girly Dixie colors too. This was my tester quilt. You still with me? I had so many pictures to share! Woven is in my shop. Oh, that’s darling! I ordered! Can’t wait to download in the morning! Woven is pretty nice. 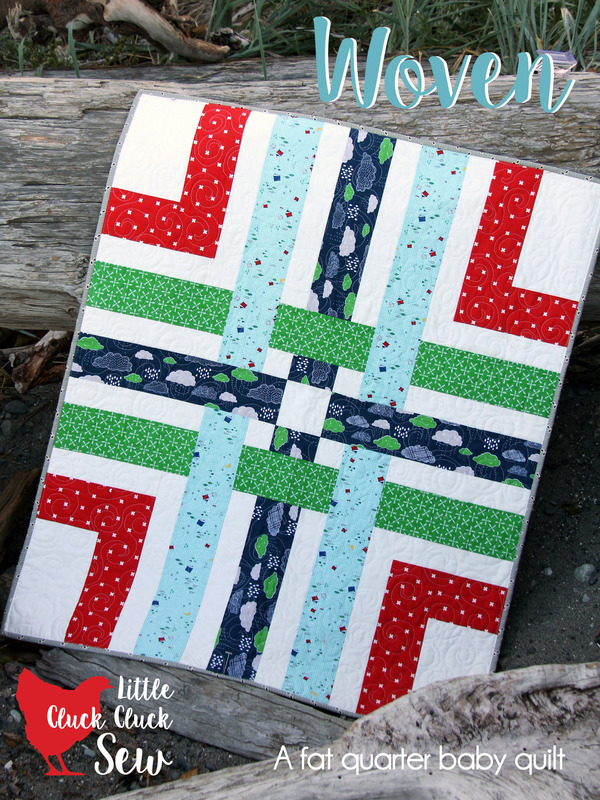 I need to make a few boy or gender neutral quilts to have on hand, and this would be a perfect design to use! Sew sweet! Love the bright happy colors. As always just beautiful! Love your style so much. This is a great quilt. It looks like one to go together quickly for when you need something and forgot to start making it. I don’t know Dixie girly fabrics. It’s new to me. Can I have a little more info please about the line? I love the colors. They would be great in a quilt I have in the planning stages. Used to be a Canadian neighbour. I miss the coastline all the time. Nova Scotia doesn’t have any of that wonderful driftwood. Thanks sew much. Hi Mary! The fabric line is called Dixie, you can find it here: http://www.fatquartershop.com/windham-fabrics/dixie-cluck-cluck-sew-windham-fabrics/ or other places online! I saw this pattern in the shop and just had to get it. I love it’s simplicity :) Just got to find some fabric to make it in! 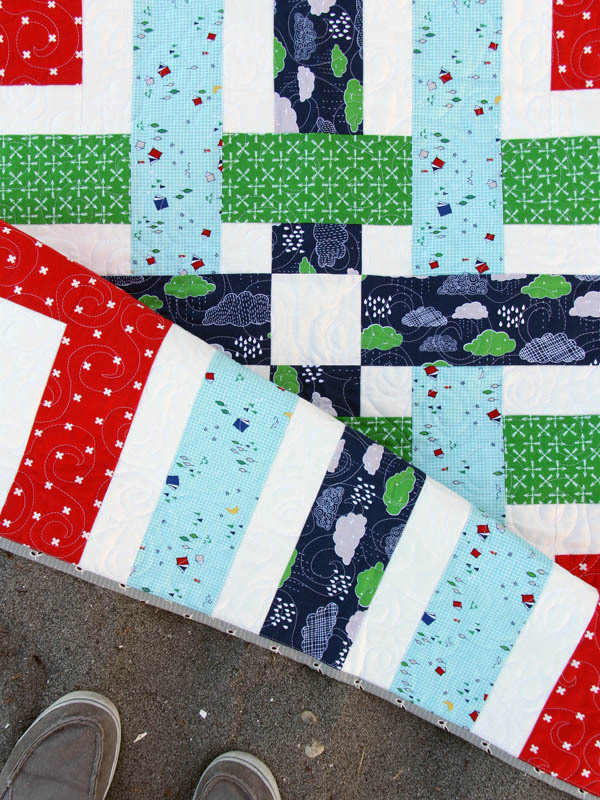 As always, love your new quilts, patterns, and the way you use your fabrics! 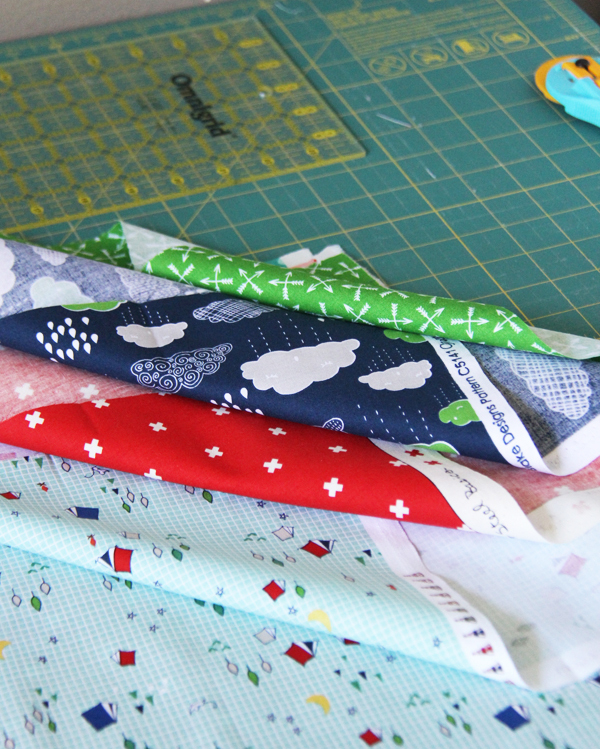 I like all of your new patterns – gotta put these quilts on my to-do list! I enjoy the way you write too – I’d worry with all that driftwood as well and kudos for Target! Love love love this quilt sooooooo much! You are so very talented! 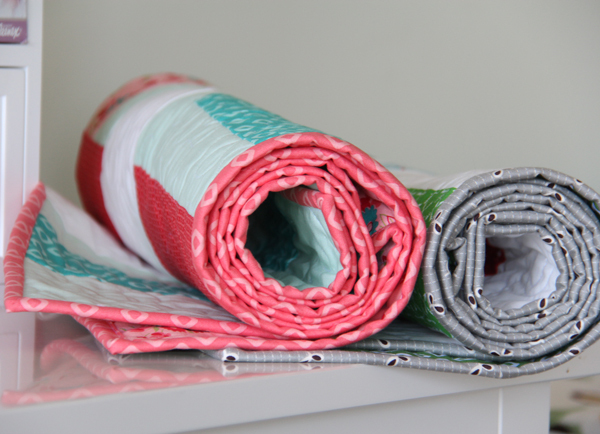 I love the way you designed the Woven quilt. I did place an order for the pattern however I don’t seem to be able to receive it. I used Paypay to pay for it. Can you help me out? Muriel did you get your pattern yet?? Email me cluckclucksew@gmail.com so I can send it to you if not!!! Me too, I love figuring out patterns! Beautiful and very unique! 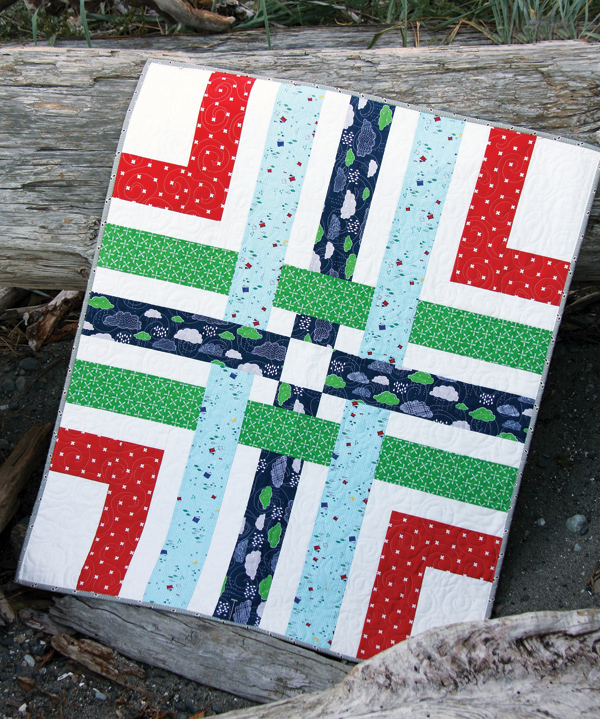 You are calling it a fat quarter pattern, but I’m wondering whether it would be adaptable for jelly roll strips? I’ve got a bunch of Kaffe Fassett Collective and Kona Solid jelly roll strips and I’m looking for a project to use them up. 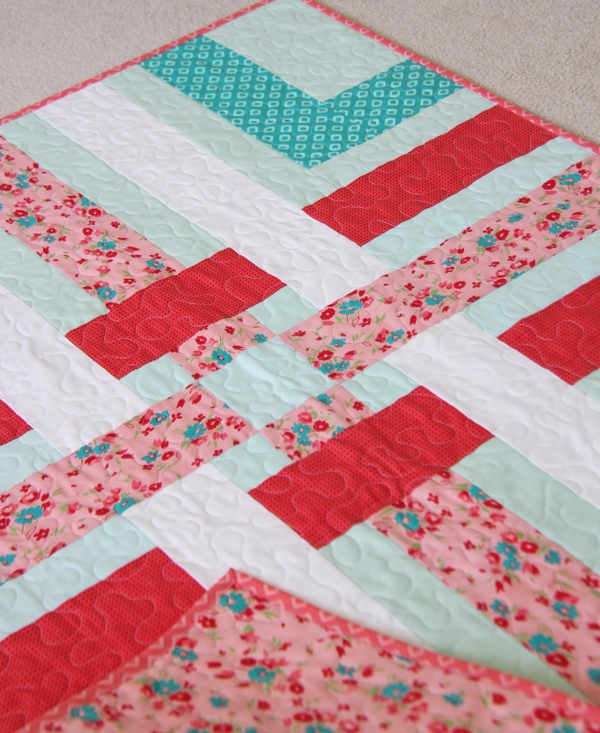 This one definitely wouldn’t work with jelly roll strips…you could probably make a similar design thought! Can’t get that little tent print out of my mind! There is so much to a quilt- the engineer in me loves the mental exercise of figuring out how things go together. What a fantastic pattern to figure out. Thanks so much for sharing! What an inspiration. Super cute! I just love your patterns and colors! What color is the solid in the girls quilt? The minty color? Thanks! So cute and love this pattern!